Singer Michael Pangilinan entered the Twitter trending box on Valentine's Day after a download link to his alleged scandal video got leaked. A 13-minute clip showing a man whose physical features resemble to that of the the 19-year-old artist has set social media abuzz on Sunday night, February 14. Pangilinan, vocalist of the band Harana and a former "Your Face Sounds Familiar" season 2 contestant, is allegedly seen pleasuring himself in the video which, according to some online gossipers, is better than the so-called Joross Gamboa video scandal that circulated last month. 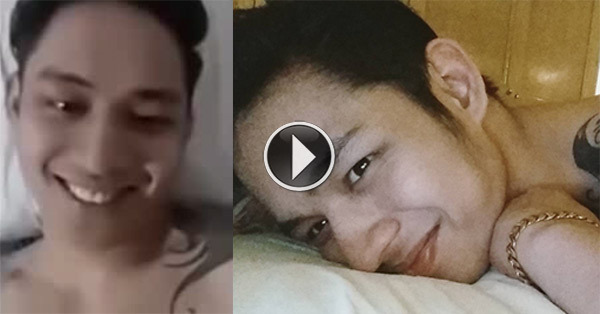 After a quick look on the man's tattoos, many viewers did not hesitate to conclude that it was indeed Michael Pangilinan in the scandal video. The singer, who is reportedly expecting a baby with an ex-girlfriend, has not commented about the controversy so far.